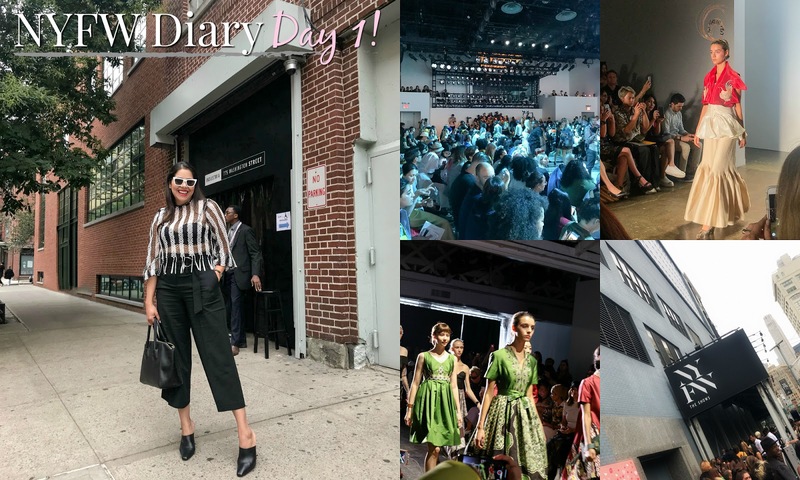 Now that I got all of the sappy stuff out of the way let's jump into what my first day in action at NYFW looked like! I failed to mention in my previous post that I felt like the stars aligned for this trip to happen because my cousin JUST moved to New York and lives IN the city, so being able to stay and spend time with her was a Godsend! Friday was my first official day attending NYFW shows with my first show starting at noon. I woke up early because I wanted to give myself plenty of time to get ready and leave early. As I watched the clock get closer to go-time, I started doubting myself, my outfit, why I was there, etc, basically the nerves talking! I had to give myself a pep talk which sounded something like "Paulina you have gone to TONS of events and conferences all on your own, you have to do this, you can do this, it's now or never!!" Dramatic I know, but I needed to snap out of it! I triple checked the address and requested my lyft and off I went. If you follow me on Instastories, I showed a clip of me on my way to that first show and I looked so scared (p.s. 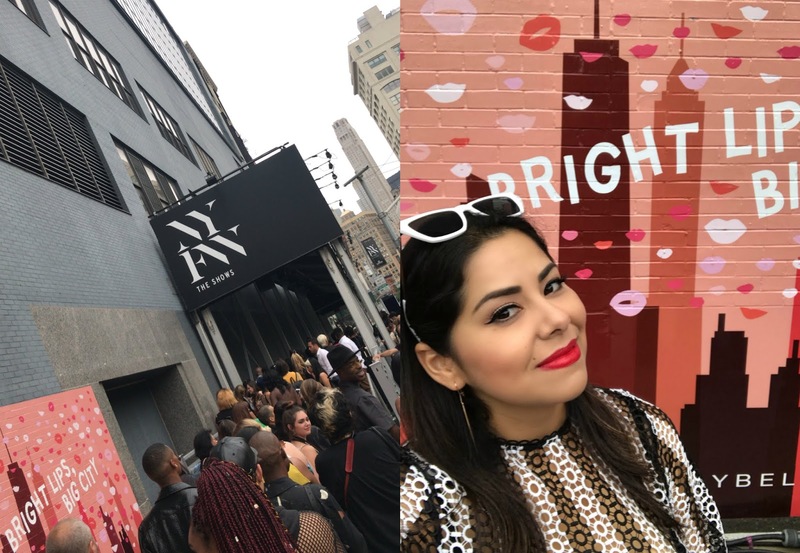 you can find all of NYFW stories under the NYFW highlight reel on Instagram). I got dropped off, and like I said in my previous post, all the nervousness went away when I saw all the other daring fashionistas in line. 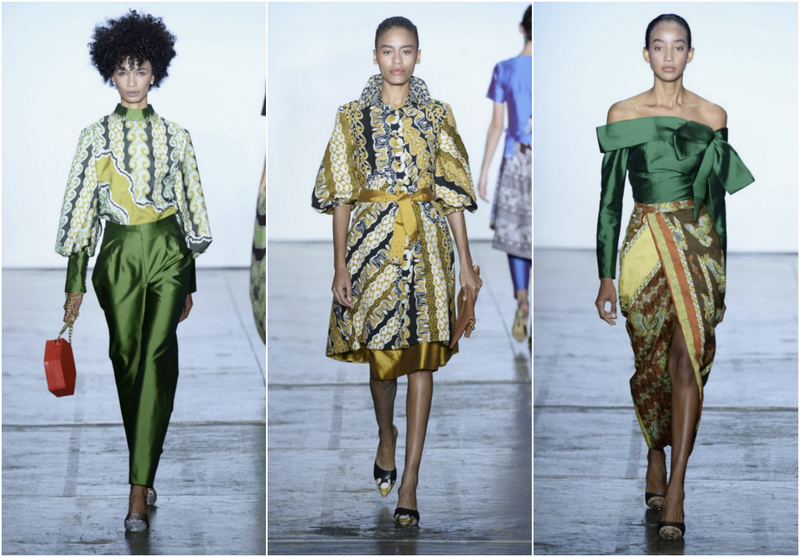 First show was Indonesian Diversity SS2019 at Industria where three designers showcased their Spring/Summer 2019 collections — Vivi Zubedi, Suedeson and Coreta Louise. A collection inspired by Marrakech with the vibrant prints in combination with subdued colors, and a beautiful combination of cultures. 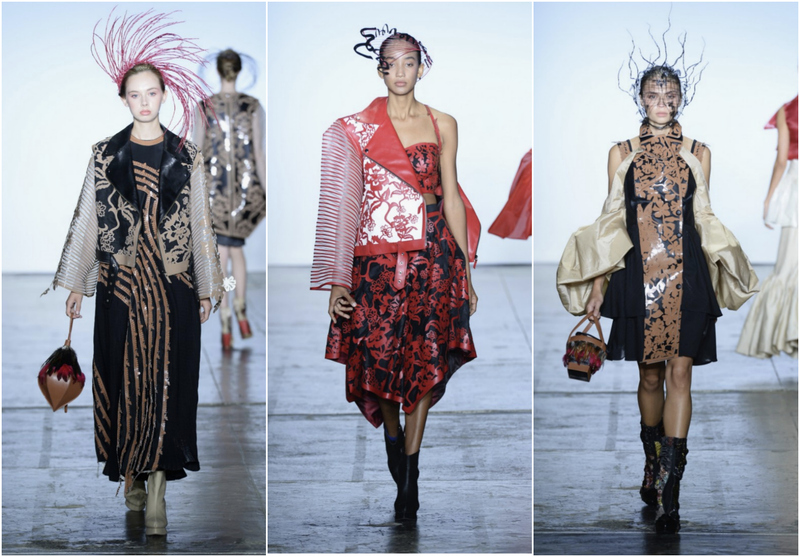 A collection titled "Nucleus" with bold head pieces, and from beautifully crafted pieces. I admired the craftsmanship of those jackets as they came down the runway! A collection titled "Tropical Haven" it showcased Indonesian elements infused into more modern pieces. The show was over by 12:40ish and since my next show was at 3pm in the same location I decided to stay in the area, so what is a girl to do? Go to the bar of the restaurant next door of course! Luckily for me, my photographer friend Tuy was in between shoots and came over to join me for a drink at Barbuto. We then shot my outfit out on the cobblestone street and when I noticed people lining up for the next show and being let in, I decided that I should head in early too. Thank goodness I did because apparently they reached capacity fairly quickly and many people with invites were not allowed in! Phew! This show was called "Fashion Palette" a collective runway show featuring 11 Australian fashion designers. In the front row were Real Housewives of Dallas Stephanie and Carri (Stephanie even reposted my instastories and DM'd me which was so sweet! ), Jordyn Woods (aka Kylie Jenner's bff) and other big influencers. Because the collections were shown back to back with a few minutes of transition in between, it was a long show! 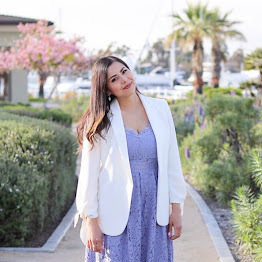 I would love to cover all 11 designers, but in the interest of keeping this blog post short(er), I've narrowed it down to my favorites, or those that fit more of the style I showcase in this blog, however you can see the full show here! 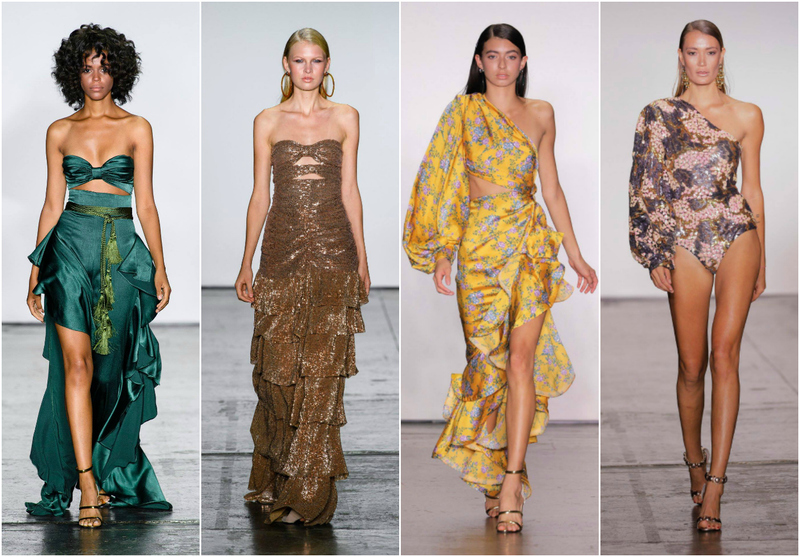 This collection was fun and flirty with ruffles, sequins, florals, basically everything I love in Spring but much more elevated with great details and flare. Sophisticated, chic, and very feminine. 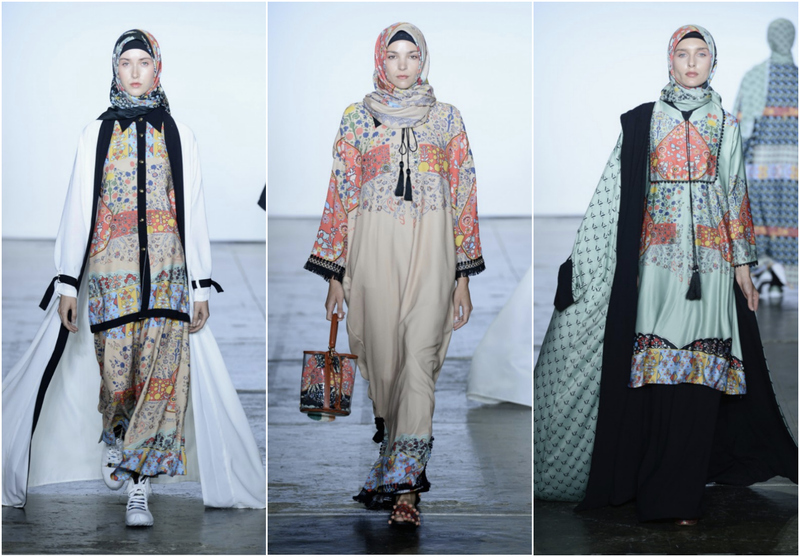 It went from neutrals and soft pastels to bolder colors as the show went on. All great head turning pieces! Model Nicole Williams (also known for being on WAGS on E!) opened the show. This was a collection of elegant and nighttime dresses that are perfect to attend events, galas, or special events. They flowed and moved wonderfully. The show wrapped up around 4ish and my next show was at 6pm at Spring Studios which was about a 10 minute car ride away. Since most of the shows took place at Spring Studios (and that's where E! was reporting from) I was sooo excited to go there. I texted my friend Kali that I felt like I was in line at Disneyland (for us common folk, there is a lot of waiting in line. Just imagine waiting surrounded by people dressed to impress), but once inside I was just trying to take it all in. I had watched the CFDA Fashion Fund series on Amazon years ago and Chromat was one of the designers hand picked by Anna Wintour along with the rest of the CFDA board. I knew that her collection would be unique and eccentric so that didn't catch me by surprise. I did however love that they incorporated women of all shapes and sizes and colors (I mean hello? The collection was called "Saturation") From all the fashion shows I went to this one had the vibes of a party and people were cheering, clapping and Yassss girly'ing from the audience. I LOVED the energy of this show! I came out of the show and ready to explore Spring Studios "The Lobby" with some of my new friends. That's the benefit of waiting in line for so long, you start chatting and getting to know those around you! At this point, it was 3 shows down and this girl was tired, happy, amazed and having a hard time processing it all! So many emotions! There was a fourth show around 8pm, but I ended up declining (changing RSVP's are a must, being a no-show is a major no no!) and headed back to my cousin's to spend time with her and my friend Tuy who was also staying with her. We ended up going to a bar, having a glass of wine and eating my one meal of the day! In my Day 3 diary I might just talk about how much weight I was losing with this NYFW "diet", but for today, I'll wrap it up here! If you got this far, thank you for coming along for Day 1. Day 2 Diary will be up soon! Stay tuned! I loved this recap! So many great designers (loved all the Aussie designers - so chic!) and hearing about your day made me feel like I was right along with you! It was nice to meet you Paulina at NYFW!